This was my second trip to Sravanabelagola. 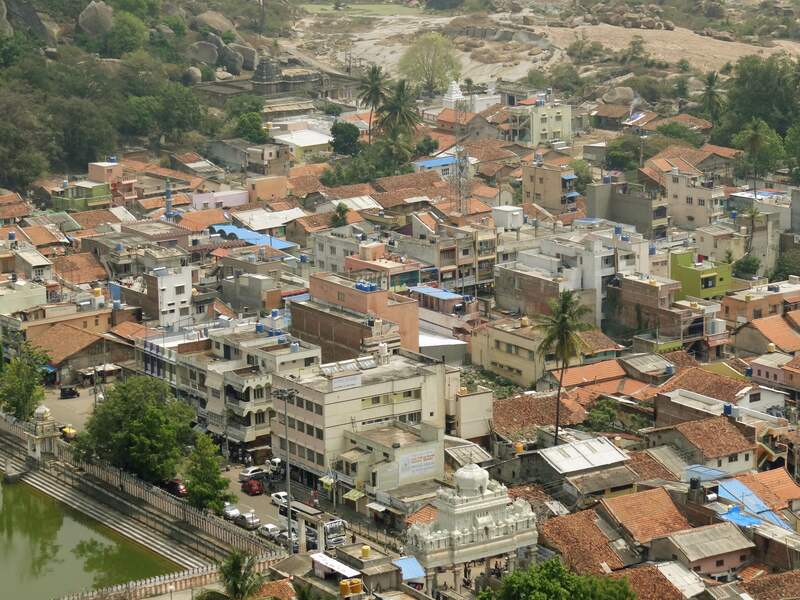 The first time I went to Sravanabelagola was when I was probably in 4th or 5th standard. I still remember how enthusiastic I was as soon as I reached the place. I saw the huge number of steps lined in front of me and all I wanted to do was just race to the top along with counting the number of steps ! This time around when I went there, it was absolute nostalgia. 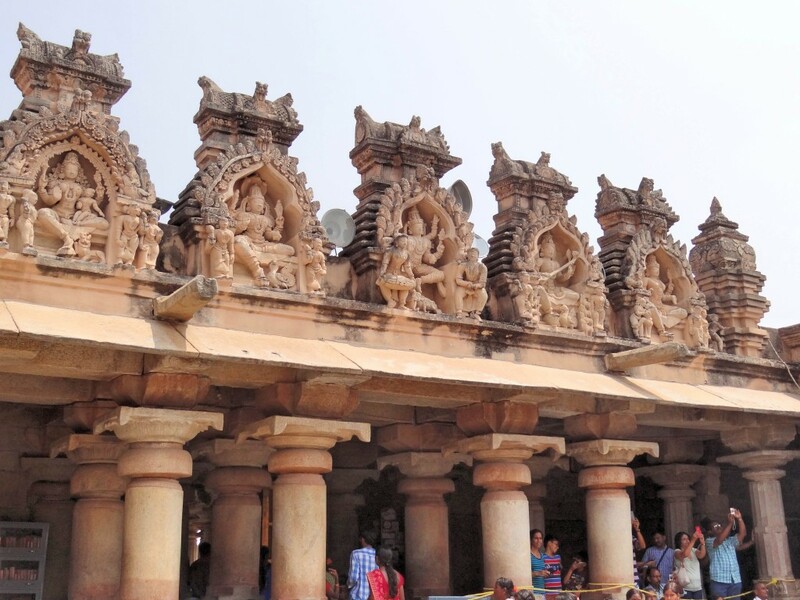 Sravanabelagola is about 4-5 hours away from Bangalore and makes for a good weekend trip. 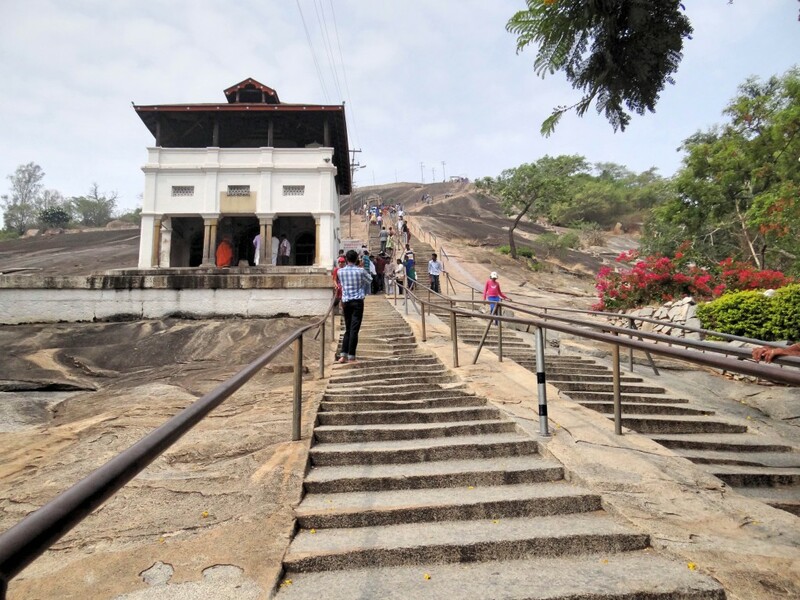 It takes a good 600 odd steps to reach the top of Vindhyagiri mountain where the Lord Gomateshwara’s statue is present. The inscriptions present here mention of the patronage of the Ganga dynasty. The view is absolutely scenic when you are climbing the steps and of course, it is too much fun ! 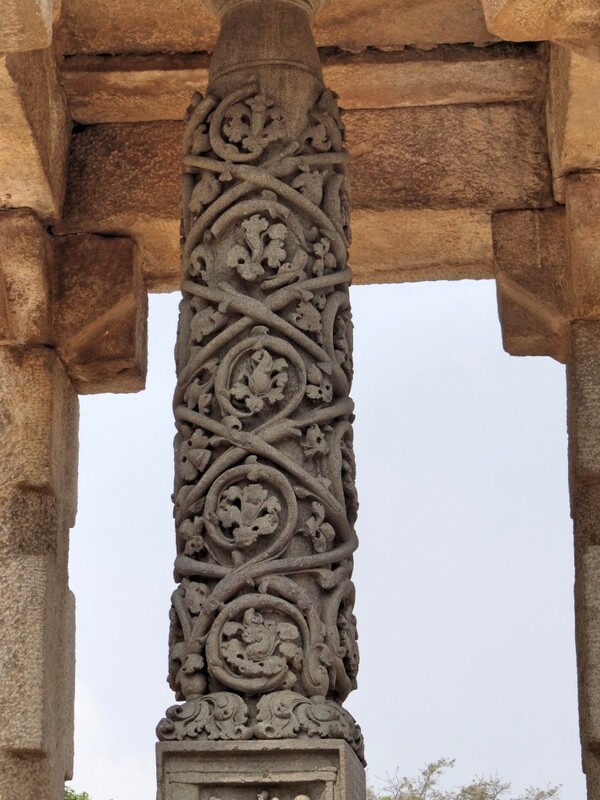 This artistically crafted pillar is known as “Tyagada Kamba”. It is so beautiful and talks of excellent workmanship. It is believed that Chavundaraya, a minister of the Ganga dynasty used to distribute goods to the needy from here. This is such an inspiration to all those who are into arts and architecture. As a commoner, if I can be in such awe of this masterpiece, then I wonder how much people into arts would have to take away from this. You can literally stand and gaze at this beauty for hours ! 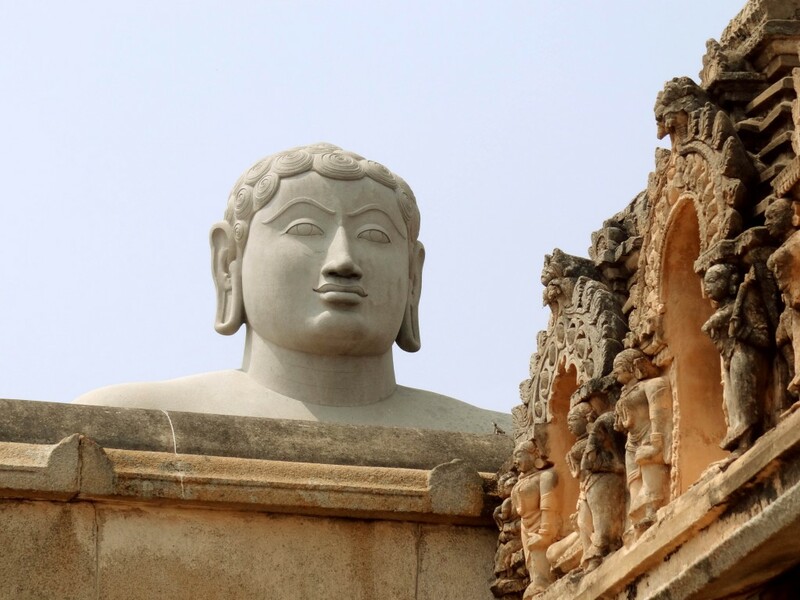 As I moved towards getting to the monolithic statue of Gommateshwara, I see his face from outside the arena. This would easily be one of the nicest statues that I have ever come across. This is the same place where Mahamastakabhisheka takes place once in every 12 years. This is a very big event for all the Jains and the way it happens is pure joy to see. It is beauty, delight and celebrations all at the same time. Once you start getting closer to the statue of Lord Bahubali, you can see many pillars that are adorned with these tiny yet remarkable sculptures. 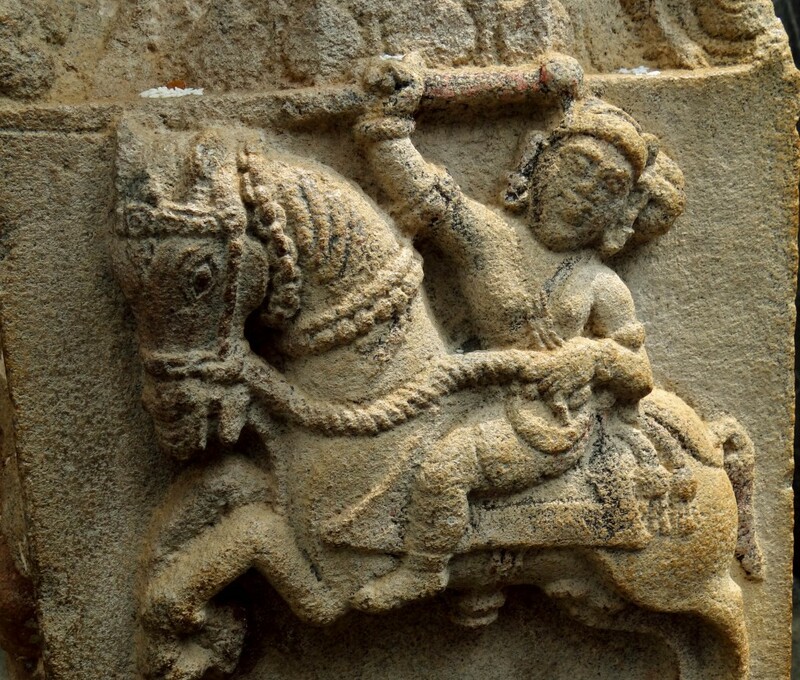 I believe this is of a soldier, riding a horse, with a weapon in hand. This is inside the arena where Lord Mahavira’s statue is placed. There are the sculptures of all the 24 Jain thirthankaras here. Basically, Thirthankaras are those revered people who show the path towards attaining Moksha. This statue is considered to be the world’s largest monolithic statue and is drop dead gorgeous. The place is so peaceful. Even though there were many people when I went, there was no sense of loudness. It was about peace, serenity and finding solace here. Though I might sound oh-so-philosophical, but what I felt when I saw the statue was, it reminded me of how important it is to be down-to-earth. I don’t know if it was because of the aura there or what, it just made me think of how better I could be ! I just love these rooftop carvings ! They always hold a special place in my heart. They’re so intricate, delicate and how amazingly done ! I hope you enjoyed reading this small article and like I said before, you can get here over the weekend. 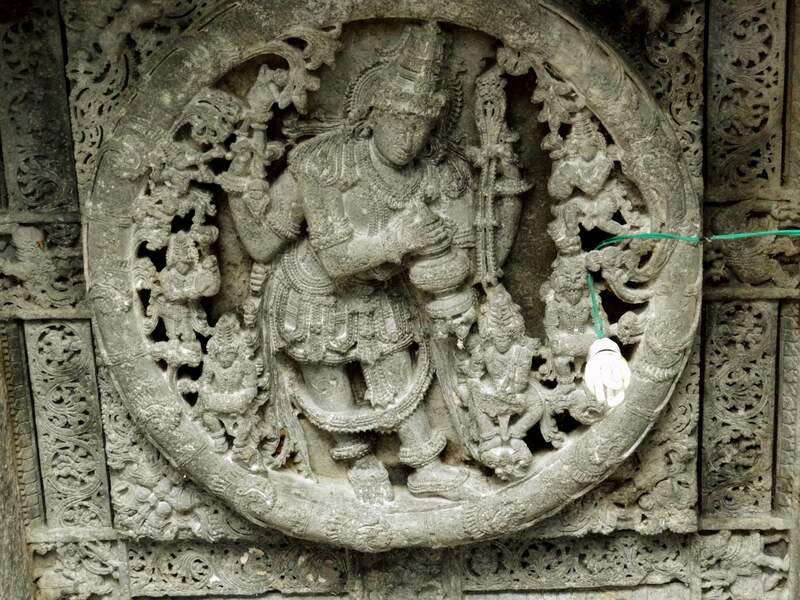 If you come to Sravanabelagola, don’t forget to visit Belur and Halebidu too ! 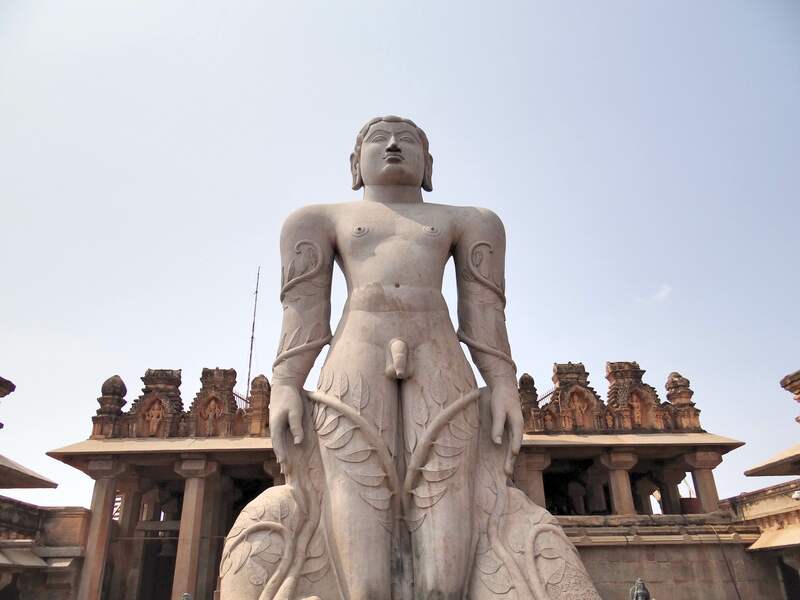 The famous Jain pilgrimage place in the state of Karnataka is Sravanabelagola with much known and worlds tallest free standing Gomatheshwar the Bahubali granite statue. The place has many places one must visit and get thrilled with that. The rich and great architecture, the environment and the theme of whole landscape is just so mesmerizing which also reflects in the pictures and are so real one can not resist to go there.Thanks foe sharing and freat post with great pictures. Thank you so much Sachin for helping me out here ! I have taken care of correcting my mistake here!